Acidic potassium phosphate, with the chemical formula of KH2PO4, is also known as potassium dihydrogen phosphate (KDP). 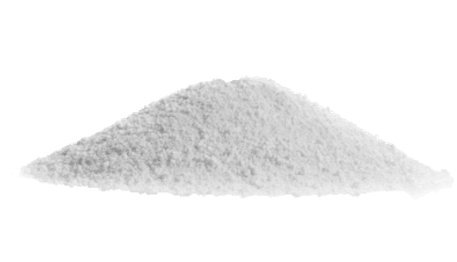 KDP is a soluble salt of potassium and dihydrogen phosphate which is commonly used as a food additive, fungicide or fertilizer. It is also recognised as safe by the US Food, Drug and Administration, making it a safe choice for food additives. KDP is great source of potassium and phosphorus. Its buffer properties make it a suitable chemical to be used in fertilizer mixtures along with urea and ammonium phosphate as it is able to prevent ammonia from escaping by maintaining the relatively low pH and low salt index. KDP does not contain any chlorides or sodium which are harmful for plants, thus making it a very good fertilizer for all stages of growth. KDP can be observed to be colourless with a crystalline structure and is easily soluble in water with a melting point of 252.6ºC. Acidic potassium monophosphates are produced using phosphoric acid and potassium hydroxide. Alternatively, potassium chloride can be used to replace the more expensive potassium hydroxide. However, the removal of hydrogen chloride have to be done and they can be expelled through various methods are such as ion-exchangers, long-chain tertiary amines or distillation with octanes. KDP is used as a high quality fertilizer material in agriculture crops especially when nitrogen fertilizer is limited. They are source of phosphorus and potassium for plants, which are the two main elements necessary for growth and development. Seeds are typically soaked and dressed using acidic potassium phosphate to stimulate growth. After it is dissolved in water, it is applied to the field through irrigation system or through foliar spray. Crops which are commonly treated by this agrochemical are: Tobacco, corn, cotton, soy bean, and vegetables. KDP is used as food additives to help stabilise and regulate the acidity and moisture in food. Its properties as a buffer allow it to stabilise the pH value and increase the ionic strength of food, and thus improving the adhesion of water holding capacity in food. It is also often used for the manufacture of flavouring agent, fermentation additives, nutritional fortifiers, yeast food, and baked goods. They are used as a fire retardant for fabric, wood and paper. They can be used for metal surface treatment. They are even used to manufacture metaphosphate in medical or food industry.